Before the New Warriors comedy airs on Freeform, learn more about their comic book counterparts! The New Warriors is a team of young heroes that was assembled by Writer/Editor Tom DeFalco, and debuted in The Mighty Thor #411-#412. The team consisted of established heroes, Firestar, Marvel Boy (later Justice), Nova (Richard Rider), Speedball, and Namorita. 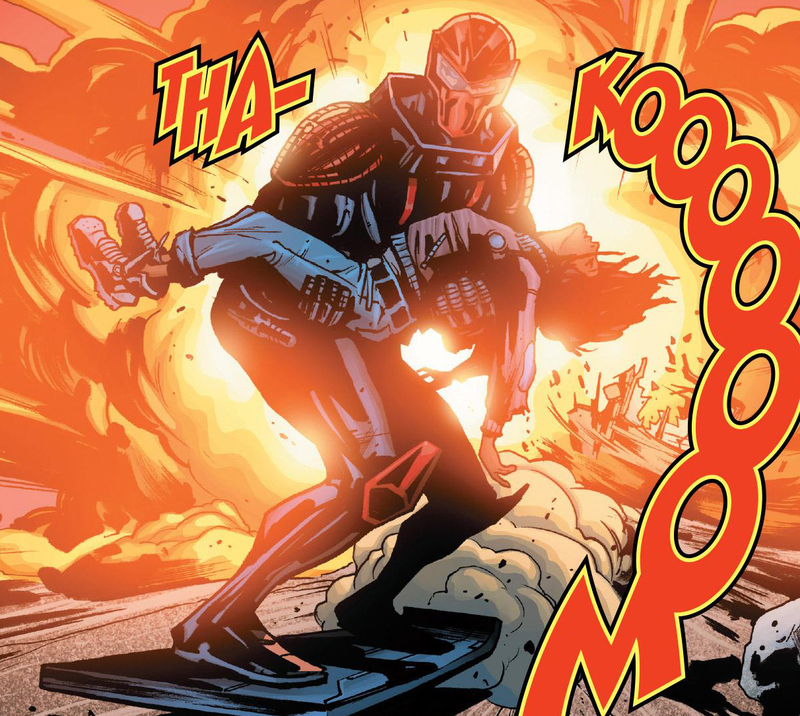 DeFalco added a new character to the team in Night Thrasher, who would also serve as their leader. While the New Warriors are often seen as the younger counterparts to the Avengers despite them not being sidekicks to or modeled after any Avenger. The characters then starred in their own series in July 1990, written by Fabian Nicieza, and artist Mark Bagley. The team roster faced some changes over the years including the inclusion of Scarlet Spider, Rage, Aegis, Turbo and more leading up to a team that seems to be the primary foundation of the current TV show. 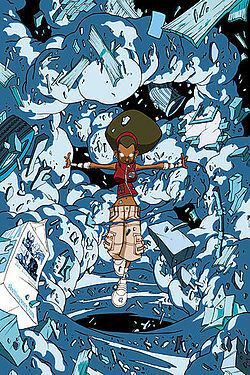 The six-issue mini-series started in June 2005 and was written by Zeb Wells with art by Skottie Young. 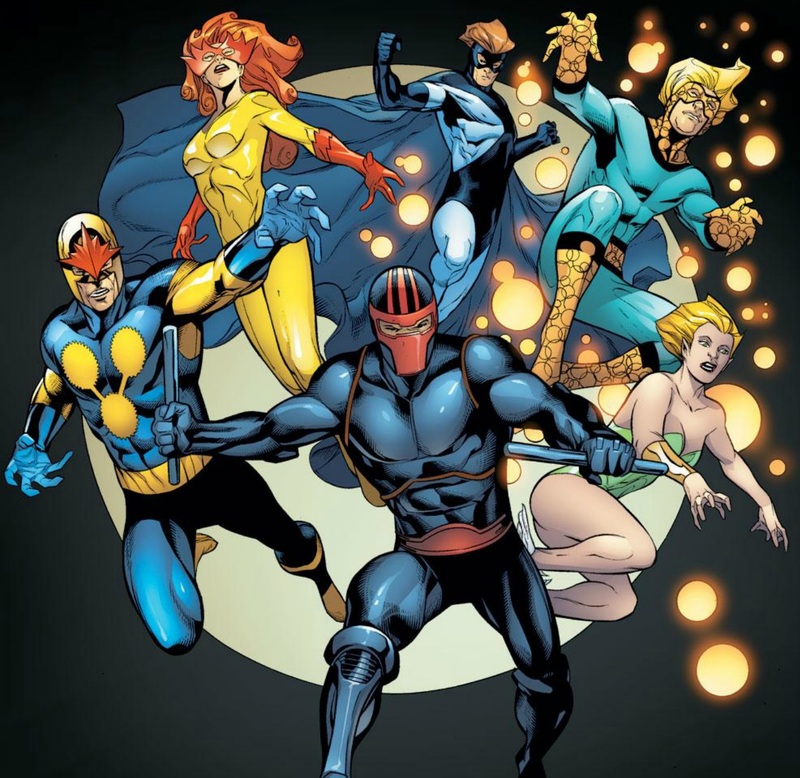 The mini-series found the team of Speedball, Nova, Namorita, and Night Thrasher being joined by Microbe, and Debrii as stars of a reality TV shows. 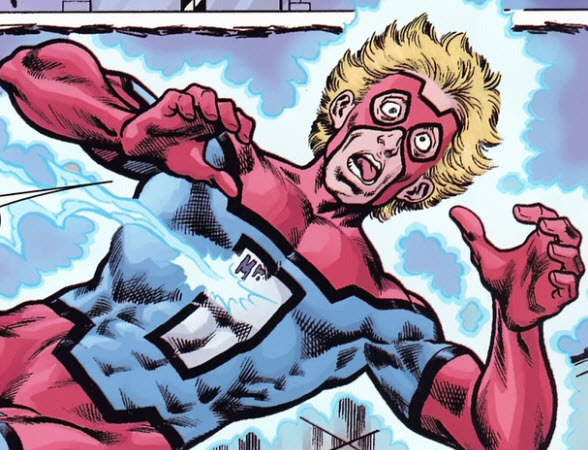 The mini itself was a fun, lighthearted comic, but this team is mostly known for kickstarting the first Civil War, after they took on a team of villains in Stamford Connecticut that included Nitro and ended with 612 people dead including members of the New Warriors. Squirrel Girl, aka Doreen Green is billed as “A girl with the powers of a squirrel and the powers of a girl” and her first appearance as Squirrel Girl – battling Doctor Doom alongside Iron Man is pure heaven. 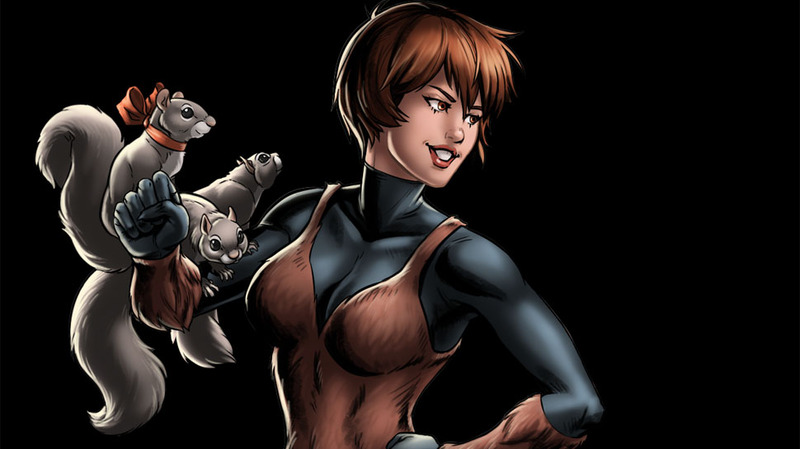 She has squirrel strength proportional to her size which means she’s capable of hopping, climbing, chewing through wood and of course – talking to squirrels but what really excites me about getting to see her character on screen is the sense of joy she has in the comic books. Originally billed as a mutant (I’m just as surprised as you are) we don’t know about Doreen’s backstory, we do know that Iron Man’s faith in her gives her the confidence to start to consider what being a superhero with her gifts is essential. She’s bullied and called “Rodent” and she has to hide her tail in her jeans but she keeps going and choses to be a hero when being physically different means that she could easily be a villain. While the power to talk to squirrels is…special it’s no different then “stilt” man or even to a certain extent the purple man. She really could have gone either way but her creators filled her with optimism. She’s an absolute joy to read and deserves to be the friend of every superhero. Craig Hollis is a character that has often been labeled as a mutant (homo-superior) and even as a homo-supreme, leaving his mutant status in question. He possess the power of immortality. This power was discovered after he had attempted suicide a few time. Since then he went on to help found a team of heroes dubbing themselves the Great Lake Avengers due to all the members being born in the area, and usually serves as the team’s leader. Mister Immortals powers often leads him willing to sacrifice himself for the team. The downside of his powers often leads him to fits of rage that would be quelled by his teammate and lover Dinah Soar. His power has also lead him to battles of depression having to watch his loved ones die around him. Zachary “Zack” Smith Jr. is the son of a microbiologist who worked for Dwayne Taylor (Night Thrasher) at his company The Taylor Foundation. Smith first made news for discovering a bacteria that prevented milk from spoiling. Within months he had created a bacteria that only fed off of cancer cells, that lead to the stock for the company to rise and Taylor to look into the success when the milk began to spoil after Smith left and his cure for cancer wasn’t just a failure, but in some cases lethal. Debrii (Deborah Fields), created by Skottie Young and Zeb Wells, made her first appearance in New Warriors #4 (2005). 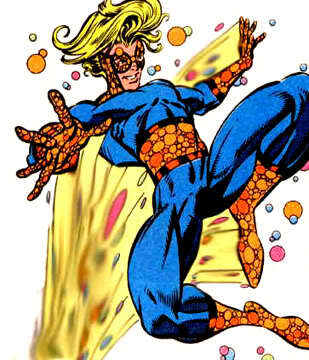 Unlike the other New Warriors who had been picked by Night Thrasher to join the team, Debrii was introduced by the New Warriors’ TV producer in order to introduce friction to the team and increase ratings. This ploy worked as the antagonistic Debrii did not get along with her new teammates. Eventually she and the team go on to defeat the Mad Thinker and the Corruptor, but later disband when their show is cancelled. As hinted by her name, Debrii is known for her telekinetic abilities to move small objects around her, creating a “debris storm,” to shield herself and increase her strength to break through objects. She can also levitate off of the ground. During Civil War Debrii’s secret identity was revealed following the Stamford disaster, and she became the target of the anti-New Warriors movement. She later joined Captain America’s Secret Avengers following the death of Black Goliath. After Civil War she was a part of Tony Stark’s Initiative Program, but left after being accused of attacking instructor Gauntlet and joins the reformed New Warriors team in Avengers: The Initiative #10 (2008). This is short lived as she later quits the team to go into hiding. 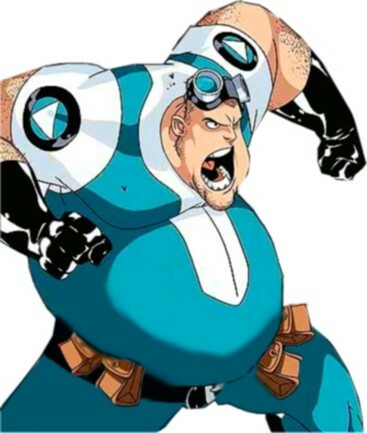 Tags: Civil War, Debrii, Firestar, Freeform, Justice, Marvel Boy, microbe, Mister Immortal, Namorita, New Warriors, Night Thrasher, Nitro, Nova, Scarlet Spider, Speedball, Squirrel Girl, Zachary Smith Jr., Zack Smith Jr.
With powers and abilities on the opposite end of the spectrum of The Avengers, the New Warriors want to make a difference in the world.